Power Scrub Deep Clean Surfaces With specially designed brushes we scrub and agitate every single grout line as well as your tile surface. 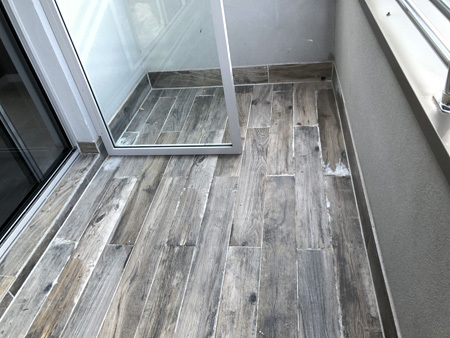 Edge and baseboard cleaning are also performed at this stage and Tiles must be firm, clean, dry, sound and smooth. All grease, oil, wax, loose material, paint and any other contaminants must be removed. 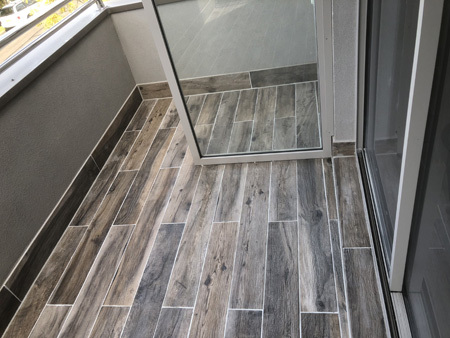 Fill any defects or holes in grout. Clean and Remove all waste material & vacuum excess dust from prepared areas. Re-grout all floor EPG epoxy grout will be applied to the prepared junctions and floor joints. The application is in form of a 5mm coving around the internal corners. 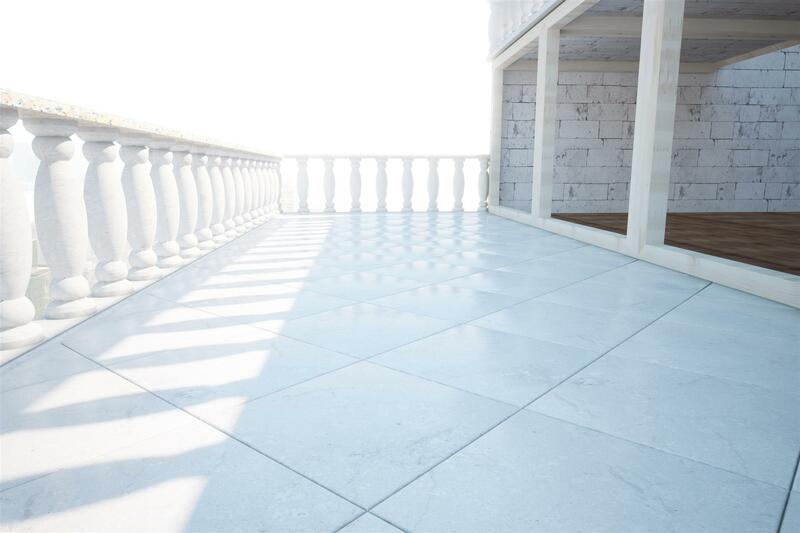 The product will be colour- matched to the balcony to give a neat appearance. 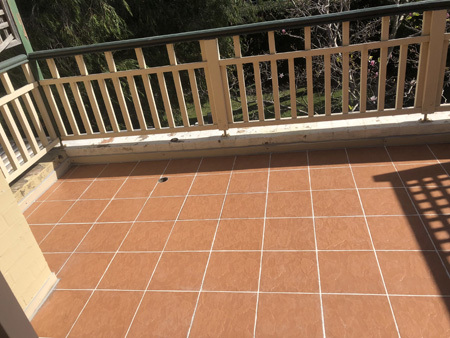 EPG Epoxy balcony grout has been specifically designed for wet area sealing and has the strength to withstand normal building movement. It will not crack, deteriorate or let water penetrate through the junctions. It does not dissolve and is not weakened by strong chemical cleaning agents. Seal top edge of Skirting tile, Seal Facing Tile Joints internal corners using Soudal fix all PU. If skirting tiles are present, install a fillet to the top of the skirting tiles to ensure a smooth transition of the membrane. Soudal fix all PU is a Low Modulus, Hybrid Polyurethane, flexible joint sealant and adhesive that is free of Isocyanates and other hazardous raw materials and omits low odour. Seal internal of Floor Waste Generally, the grate is not mechanically connected to the waste riser and the sand & cement screed is evident once the grate is removed. This also allows capillary action of waste water through the screed underneath the tiles. An epoxy sleeve with be applied to tis screed preventing further capillary action. 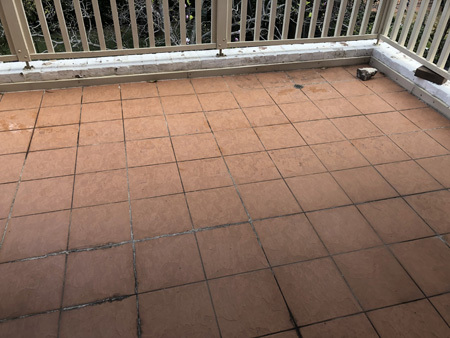 Apply two coats of waterproofing membrane, ensuring that the first coat has completely dried before applying second coat. waterproofing membrane is an external UV stable non-yellowing clear coating which is recommended to extend the life expectancy of Synpave Sports & Rec coating.